Muse: the brain sensing headband makes meditation easier™ by providing real time brain sensing feedback. Awareness of the benefits of meditation has been well covered in recent years and has been scientifically shown to reduce symptoms associated with stress, depression and anxiety as well as improve overall wellbeing. 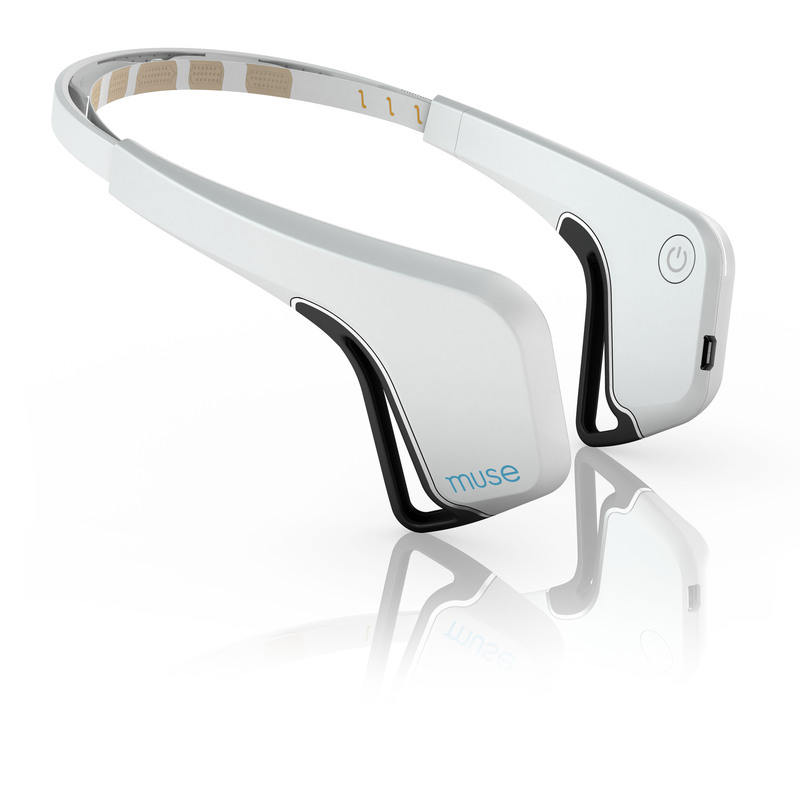 By means of EEG sensors located on the fully adjustable and portable headband, Muse provides real-time neurofeedback by means of audio and visual cues during an individual’s meditation session through software that has been developed with neuroscience experts and seasoned meditators alike. This allows the meditator to learn the first steps toward mindfulness meditation, and helps provide motivation in order to build an ongoing practice. Muse encourages users to sustain their meditation practice by providing an extensive array of information regarding progress over time. A personal practice screen showcases progress across a calendar, cumulative practice sessions, extended moments of calm, streaks, goals, milestones, and challenges. In addition to the many benefits Muse provides to at home meditators it is also used by yoga teachers, athletes, health professionals and over 100 hospitals and universities around the world. Muse’s Professionals division serves the wellness practitioner community and with great results, coaches, sports psychologists, athletes, and others within the fitness and athletics community use Muse for the purposes of mental conditioning and pressure management training. Numerous soundscapes are available for both Apple and Android devices. These are virtual audio environments that provide real time audible feedback during a meditation session. Select from a number of soundscapes including favorites like Beach and Rainforest as well as newly released Desert, Ambient Music and City Park. In addition to this Muse includes a feature rich look and feel along with custom session lengths, challenges and a 10 lesson “Meditate with Muse” exercise collection.